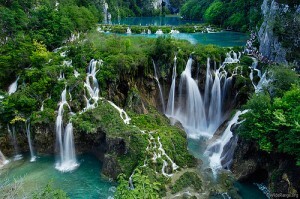 Travel to Croatia and tour information about Croatia. Croatia will become the twenty-eighth member of the European Union next year. The whole country, especially the tourism sector is waiting to talhistórico event. Joining the EU will appeal not only travelers but also investment. In 2010, Croatia received 9.11 million foreign tourists and so far this year registered a growth of 8%. The treaty of accession of Croatia to the EU will be signed this December, so that the Balkan republic will officially join the European economic and political space in July next year. 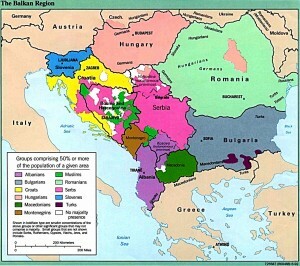 And Croatia will be added to the list of former communist expaíses Eastern Europe that are already part of the EU, following the incorporation of the Czech Republic, Slovakia, Slovenia, Estonia, Hungary, Latvia, Lithuania and Poland (in 2004) and Romania and Bulgaria (in 2007). But Croatia has something that none of the other countries mentioned above is: 1,178 miles of coastline on the Mediterranean. They are actually 5790 if you include sus1.185 KM islands, of which only 66 are inhabited. The addition of Croatia to the EU opens up a range of new opportunities for tourism development, as suggested by the Croatian Tourism Minister Damir Bajs. Tourism now accounts for 15% of the GDP of Croatia and is their most important source of foreign exchange. Part of the diversification efforts and renovation of tourism focus on the Istrian peninsula, which wants to position itself as a “new Tuscany”, says a local journalist. This area was not damaged by the war in the Balkans (1991-1995) and the standard of living there and the state of infrastructure is higher than the national average. For example, there is an ongoing project to develop the llamadaBrijuni Riviera Istria through for international tender at a cost of 286 million euros. The local and national authorities have recently closed the outlines of that project. “We are sending the message international developers that Croatia is ready to receive new investments,” apuntaIvan Jakovcic, governor of Istria County.